The custom designed detox is 28 shake packets in order to make your detox simple yet effective. Customize your detox by picking your ideal flavor. A unique blend of herbs, antioxidants, and nutrients needed to support phase I and phase II detoxification pathways by refining toxins in to metabolites and promoting optimal liver function. Contains a full spectrum of multivitamins, minerals, protein, fiber and an antioxidant complex that provide nutritional support for a safe detox process. No FASTING and No CALORIE COUNTING! I loved the detox!!! It was the easiest program to follow and the vanilla protein powder is delicious! I have been sleeping great, have a lot of energy and feel all around great! I highly recommend this for anyone who just needs a boost in their life! First off, WE LOVE THIS DETOX AND ALL OF YOUR PRODUCTS SO MUCH! We are on day 13 and have had so much successs. My husband has dropped 10+ lbs and looks and feels great. He says he’ll never go back to his daily Diet Coke. (In 43 years, you have done what no woman has ever done!) The detox taught him about proper food choices (he really was clueless). I cooked for him every night – it worked best for us to make 4 shakes in the morning – got the Blender Ball shakers which worked great, and they shakes held every day big time! I haven’t weighed myself in months (just bought a scale last night actually), so I don’t know about quantitative progress – but I have definitely lost weight in my face and mid-section…if I had to guess, probably about 6 lbs. Most nights we would have the espresso greens with almond milk for dessert and plan to do that forever. What an awesome dessert! I alternated that with frozen grapes depending on what I felt like that day. But it’s a great way to have dessert every day so you don’t feel like you’re totally depriving yourself. Thanks to RADO Nutrition Complete Detox, my goals are now within reach! Not only did they expand my knowledge on nutrition, they broadened the horizon of what my body is capable of. 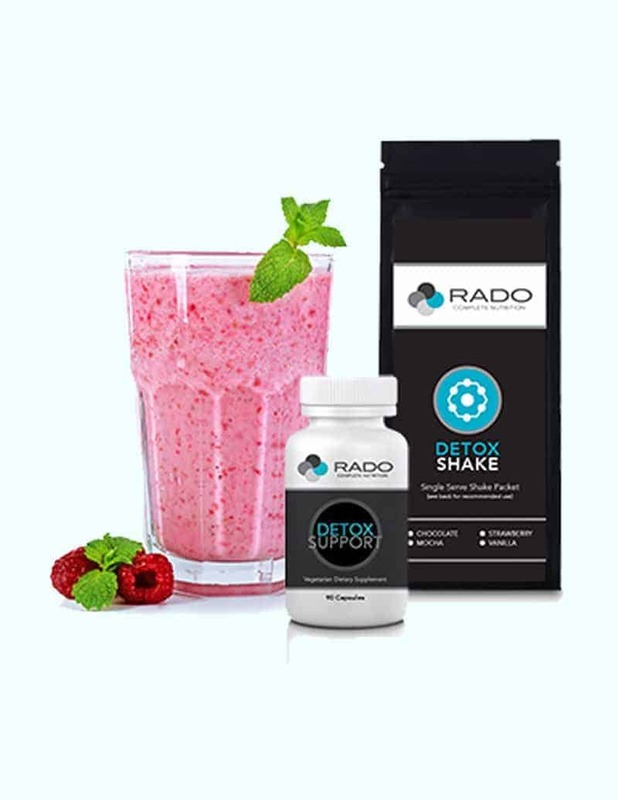 RADO Nutrition has had a huge impact on my daily life and on my diet in general. I have lost over 25lbs by doing the RADO Nutrition Complete Detox and sticking to Lisa Rado’s dietary plan.